Moshe Berkowitz (b. 1954) was born in Kfar Saba, Israel. At the young age of 11, he joined the Maccabi Tel Aviv basketball youth club. Within a few years, he made the junior team, and at just 17 years old, was already playing on the senior team in the Israeli Basketball Premier League. The same year, he took the Israeli under-18 team to the FIBA (International Basketball Federation) European Championship finals, and was the overall leading scorer of the whole tournament. Shortly after, he led the national team to a gold medal in the 1974 Asian Games in Tehran. This came at a time when Israel was still reeling from the devastating Yom Kippur War, and Berkowitz became a symbol of Israeli strength, success, and vitality. He has since been credited with playing a key role in re-inspiring Israeli youth in the wake of the war. In 1975, Berkowitz took a short break to play a year of college basketball in the US (with the top-seeded UNLV Runnin’ Rebels). Returning to Maccabi, he transformed the team into a top contender, and in 1977 led Maccabi to its first FIBA European Cup. The team won the championship again in 1981, with Berkowitz scoring the winning shot. He also played on five European All-Star teams, and made history when his Maccabis beat the NBA champion Washington Bullets in 1978, becoming the first FIBA team to ever beat an NBA team. Back home, too, Maccabi was an unstoppable force, with Berkowitz leading the club to 16 national league championship titles and another 13 Israeli State Cups. After a silver medal at the 1979 EuroBasket (and being voted the tournament’s MVP), Berkowitz got flooded with offers from the NBA. 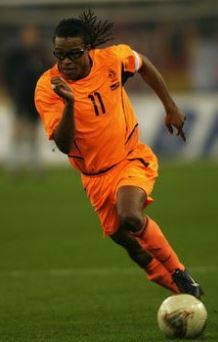 However, he was unable to break his Maccabi contract and was forced to stay in the Israeli league. 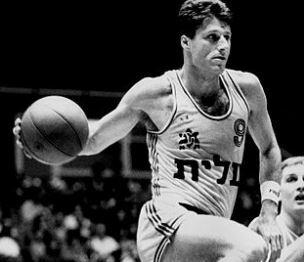 In 1991, Berkowitz was voted among FIBA’s 50 Greatest Players of all time, and more recently made the list of 50 Greatest EuroLeague Contributors. He officially retired in 1995 and wrote a bestselling autobiography. 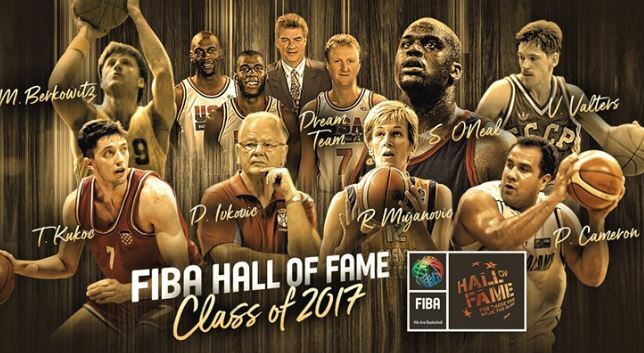 Last year, Berkowitz was inducted into the FIBA Hall of Fame alongside Shaquille O’Neal and several other greats. In the run-up to Israel’s 70th birthday, he was voted the nation’s greatest athlete. Despite being ranked the 35th most famous Israeli, and once being hailed as “king of Israel”, Berkowitz always carried himself with utmost humility and was a natural role model. Two of his sons continue to play pro-basketball in Israel today. The thought, the inspiration, and the culture of the Jews has been one of the vital dominants in world history. There are none of the arts or sciences which have not been enriched by Jewish achievements. This entry was posted in World of Sport and tagged Asian Games, Basketball, EuroBasket, Euroleague, FIBA, Gold Medal, Hall of Fame, International Basketball Federation, Maccabi Tel Aviv, MVP, NBA, Yom Kippur War on May 30, 2018 by Jew of the Week.